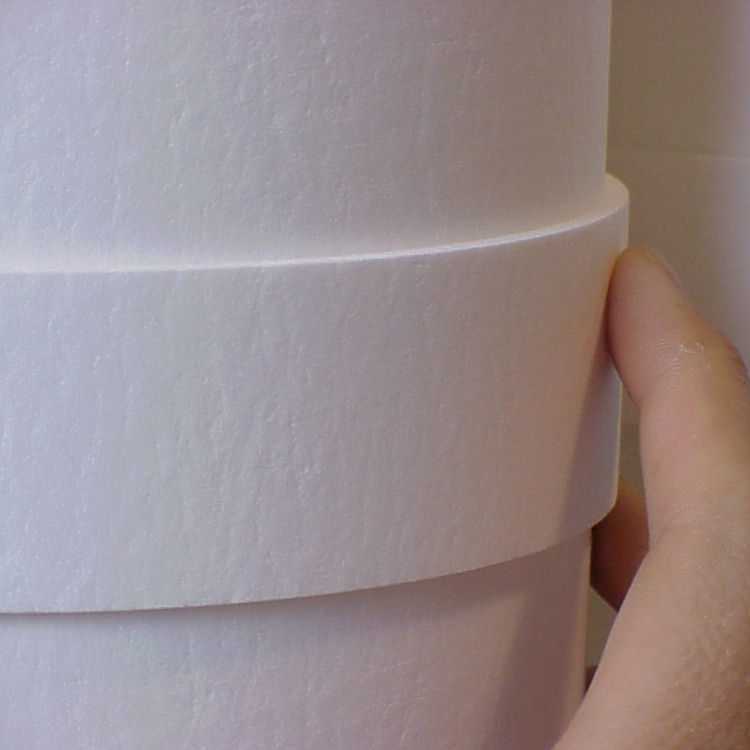 ZIRCAR Ceramics’ Alumina Type ALC-AA is an engineered low-density, rigid refractory structure of high-alpha polycrystalline alumina fiber and high-purity inorganic alumina binder – in cylindrical form. ALC-AA’s fine, open-pore structure makes it an excellent thermal insulator with good machinability – exhibiting good hot strength and dimensional stability in industrial applications with continuous operating temperatures to 1500°C (2732°F) with intermittent use to 1550°C (2822°F). The high purity alumina binder gives this low-density fiber body a very high degree of chemical inertness and is therefore useful in reducing and other corrosive atmospheres. ALC-AA exhibits high electrical resistivity at elevated temperatures and is also transparent in microwave and RF energy fields. ALC-AA is pure white and exhibits high reflectance. ALC-AA is pre-fired, contains no organic binders and will produce no smoke or odors when heated. It shows excellent resistance to chemical attack and is not affected by oil or water. It is, however, affected by hydrofluoric acid, phosphoric acid and strong alkalis.